Google announced that their search engine has improved in understanding our natural language searches through queries that include superlatives, times, and more difficult questions. Through these three ways, Google is now better at understanding user’s queries. Complicated Queries- Complicated queries that Google can comprehend are complex combinations. 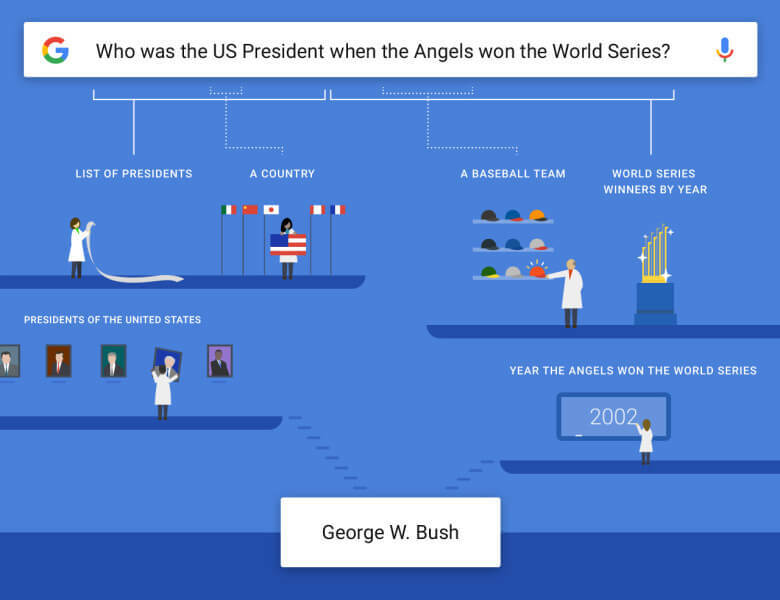 For instance, users can now ask Google questions that have unique combinations to the queries, like “What was the US population when Bernie Sanders was born?” or “Who was the president when the Angels won the World Series?” or “What television shows have Julia Robert’s niece starred in?” Below is an image to show the progression Google uses for these queries.